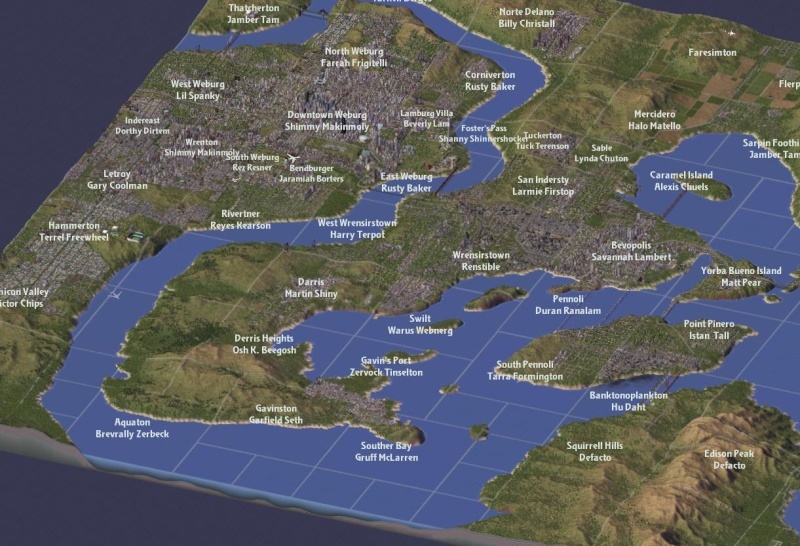 What Highway 101 in Weburg plan do you choose? We welcome you to Maxisland, a secluded and beautiful chain of islands just off the coast of Newfoundland. Today, we have announced the start of Project Terra Nova II. The first project is the renovation of the Royal Palace in Weburg into a true royal palace as well as the movement of Parliament into it's own building. 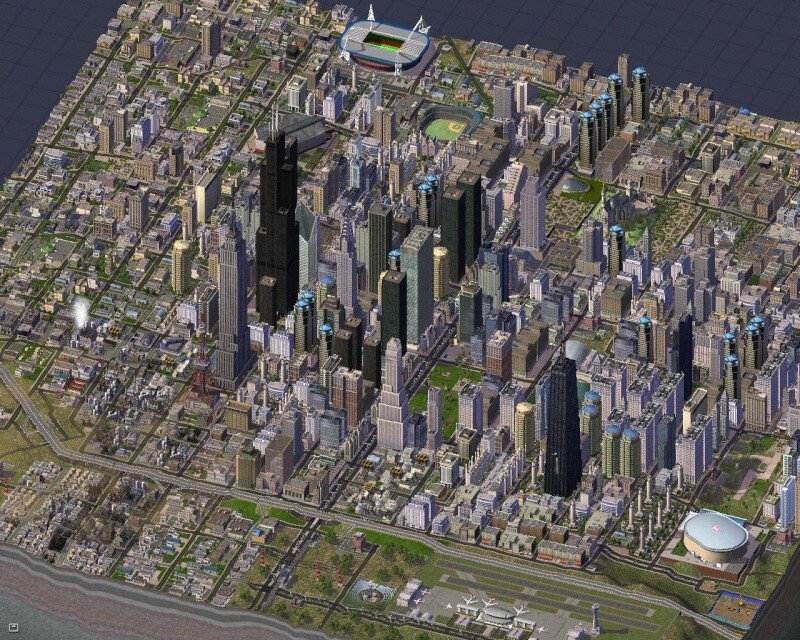 The project required several buildings to be torn down and the removal of a few city blocks. 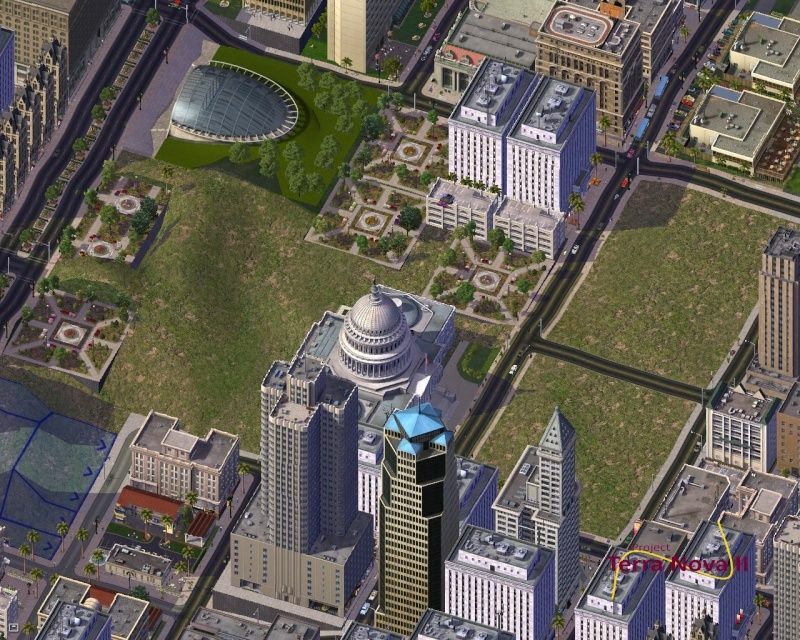 It also required the relocation of the Palace WBMTA Simlympic Line rapid transit station. The project will continue until this fall. 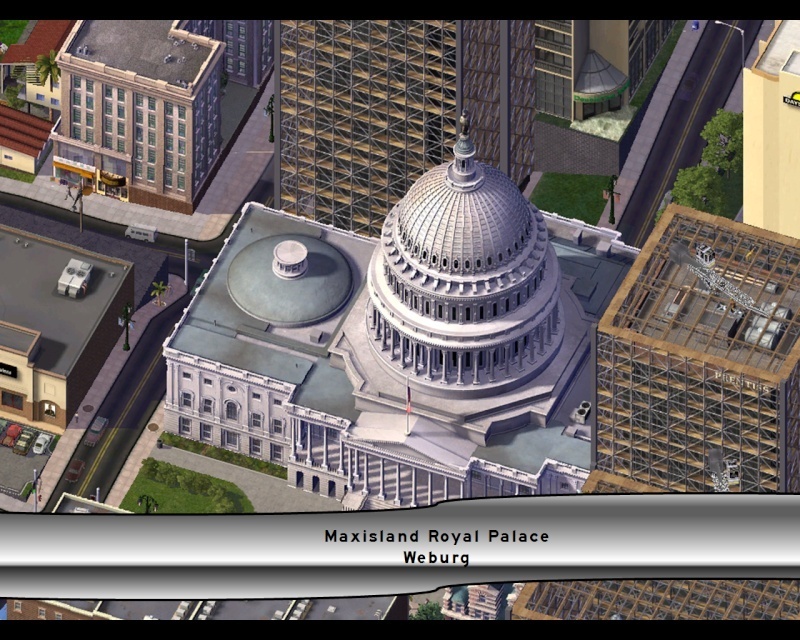 The next Maxis Games will be held in early May, which decides which Maxisian athlete is competing in the next Simlympics. Here's an outdated aerial view of the nation. Comment what other areas need some work. If you are wondering what's at the bottom right corner, that's the Weburg Metro Airport, a major hub of Delta Airlines, Delta Connection carrier Atlantic Southeast Airlines and the major hub and HQ of Air Maxis. 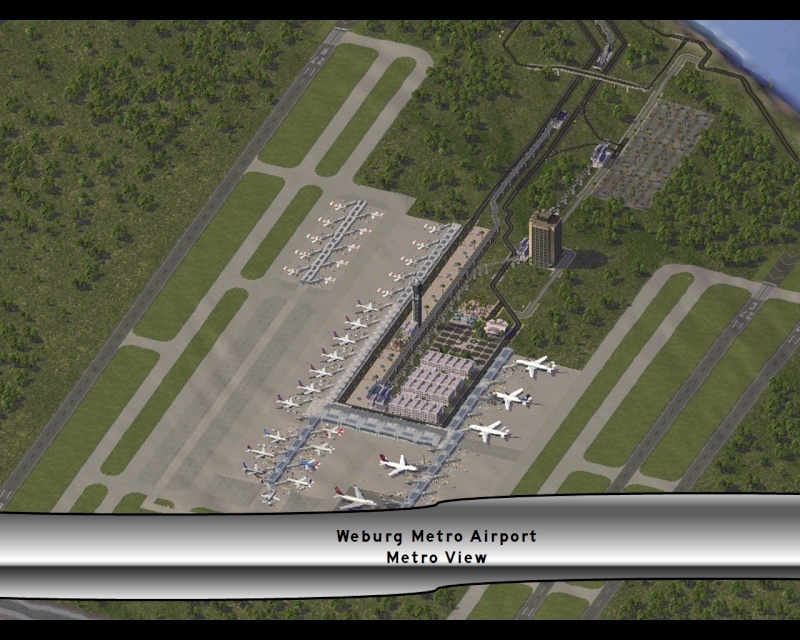 Want your airline to fly to Weburg Metro Airport? You are free to comment on that too. Pretty nice start! Maybe you could make the Palace a little more interesting by adding some canals... I recommend oppie's for a palace. Disadvantage: You need perfectly flat ground for oppie's canals to look proper. simsamerica: Glad to like my CJ! Yes I do have the NAM installed. emperordaniel: The Royal Palace does not need any more improvements right now, in fact there is a hill at one corner of the Palace grounds. The Highway 101 freeway was mostly built in 1955-1956 and was built to the standards of then, it doesn't meet today's standards, in fact, much of the freeway predates the NAM Act of 1971. The interchange with Highway 102 in Yorba Bueno Island was built in 1976 and minor repairs were done during 1995 and 1996. In some places in Weburg, the highway is elevated, making it's shadow the home of everything from the homeless to rats and raccoons to even trash. Also, traffic has been a major problem around the heavily populated areas. There have been fatal accidents on that segment of Highway 101. Here's what Highway 101 looks like at Atlantic Street in downtown Weburg. 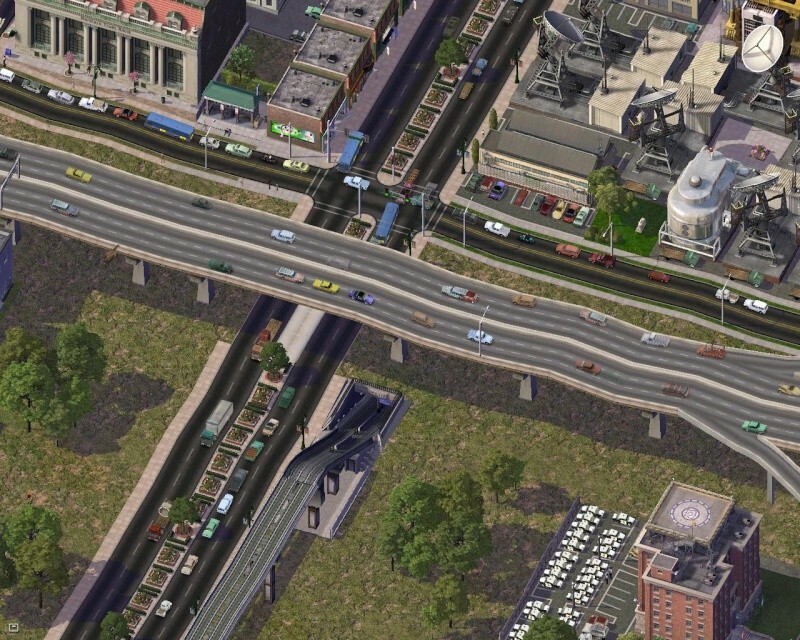 Notice that it is elevated and no interchange. A poll has opened on what must we should do to the highway in downtown Weburg. Pros: Allows the highway to not block the downtown skyline as seen from the south and disencourages those who want to live below the highway. Cons: Can turn into a river during heavy rains, making it impassable. 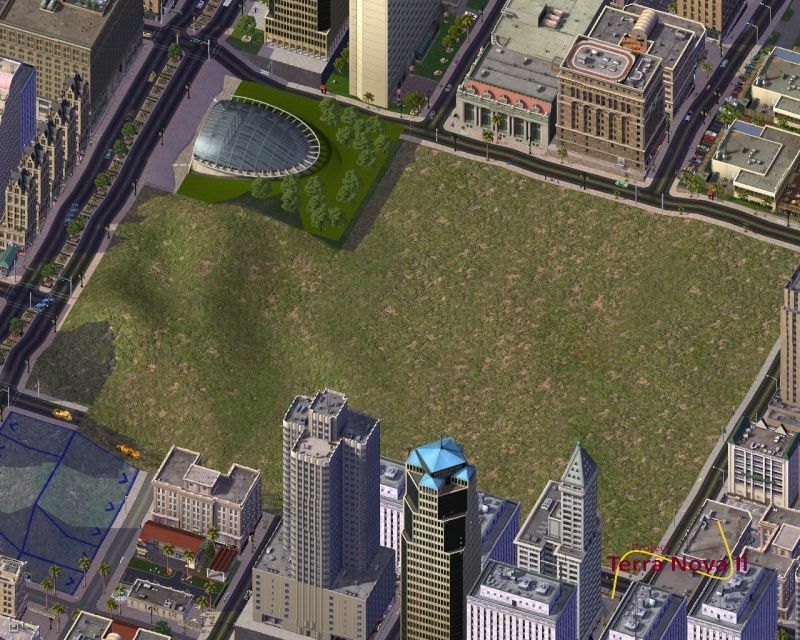 Plan B: Build it on an embankment. Pros: It is still elevated, but there is no longer the problem of raccoons and such living below it. Cons: Still blocks the skyline. Plan C: Widen it (if there is room). Pros: Allows more traffic to move freely. Cons: Can take up valuable space. Sorry for the double post, but Highway 101 in Weburg will be elevated on an embankment since it was the only thing voted for. The project will start in late June. But since I can't close the poll, the decision is still not final. I know how to close the poll, but it's only possible if you chose a certain setting before you posted the poll. 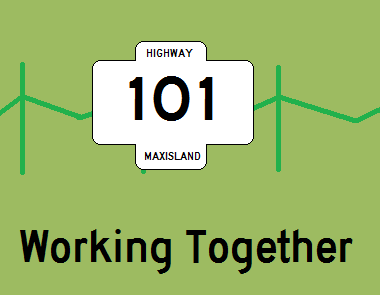 An update on the Highway 101 project, we have decided to begin today. After the evening rush period, the segment over Atlantic Street in Weburg will be demolished. Traffic will get off at LaSalle Street to the east or Duff Avenue to the west. Atlantic Street will be closed between Airport Drive and High Street. The WBMTA Simlympic Line will not operate between the Wren Plaza and City Airport stations. Buses will operate between Wren Plaza and Thatcherton, stopping only at the Simlympic Line stations, rapid transit fares will apply and transfers will not be honored from this bus to other WBMTA bus routes. Trains from Bevopolis will terminate at the City Airport station. Phase 1 between LaSalle and Duff is complete. Early construction. The highway between Duff and LaSalle has been demolished and (from right to left) Atlantic, Cass and State Streets have been cut off. Also, the WBMTA Simlympic Line is cut off. Notice the crane on the west side of Atlantic Street where it has been cut off on the south side of the clearing. The embankment is now in place. Due to NAM limitations, Cass Street has been permanently cut off. Also notice that a mid-rise office building and two Dollar Tree stores had to be demolished to make room for the embankment. Also notice that Atlantic and State streets have been re-connected, but the WBMTA rapid transit tracks are still disconnected. The completed project. Also notice that an identical-looking office building has been demolished to make room for the Atlantic exit from EB Highway 101. Out of view, LaSalle Street has been disconnected permanently. The embankment slopes have been decorated and road signs are in place. So what do you think? 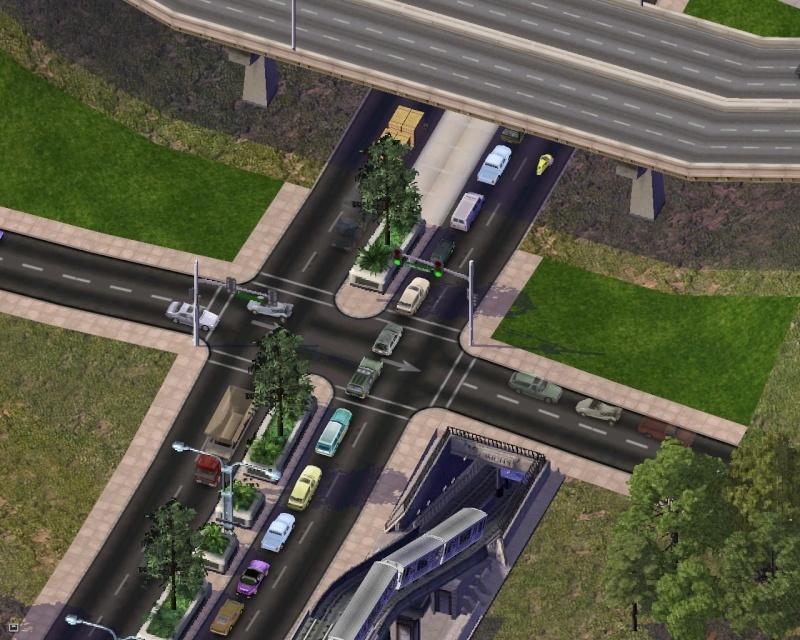 Phase 2 will rebuild the highway west of State Street. Fulbgoldbatch wrote: Out of view, LaSalle Street has been disconnected permanently. I think there's several features on the STEX (and the NAM too) that allow the diversion of streets, roads, and avenues underground, if nessecary (i.e., the situation above)... are you sure you don't want to try that? 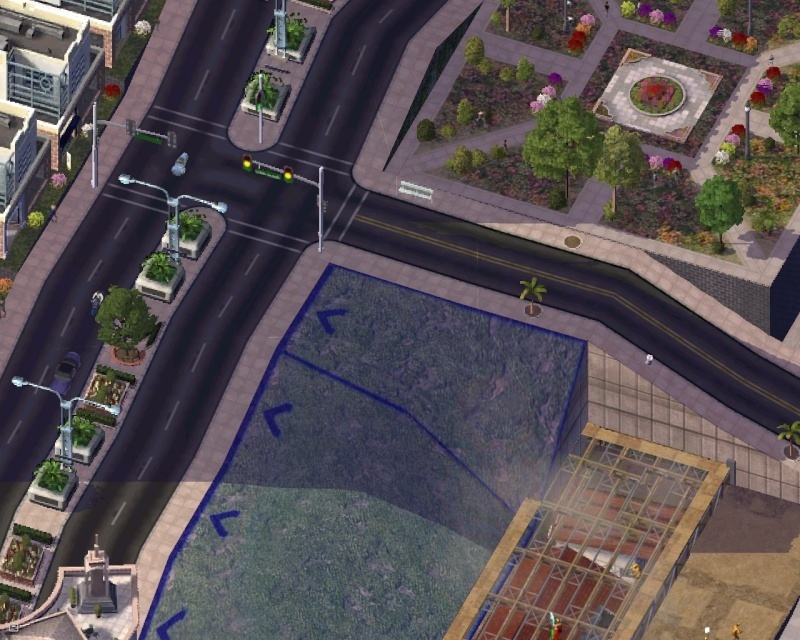 The city of Weburg has started a streetscape project on it's divided streets. So far, only divided streets in the CBD have new landscaping and lights. To show you, here's two closeups: One of Atlantic Street at the just-rebuilt Highway 101 and Atlantic near the Royal Palace. Notice the blue space on the bottem left corner in one of the Royal Palace renovation pics? Well, construction has already begun on a motel. Atlantic Street within the Weburg city limits has been completely streetscaped. 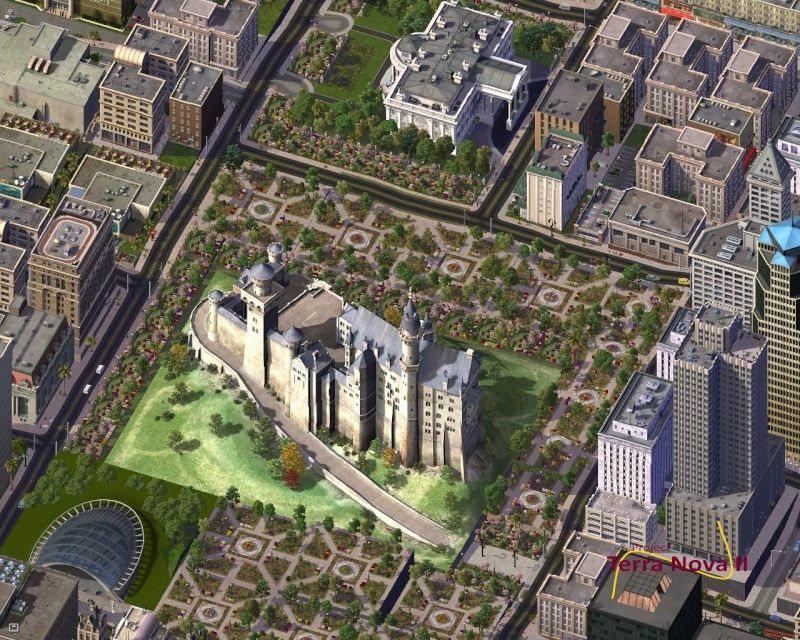 Also, Weburg's new skyline has finally been revealed! Unfortunately, I no longer have the Maxisland region in-game, so I must end this. I will come back with an even better region though.